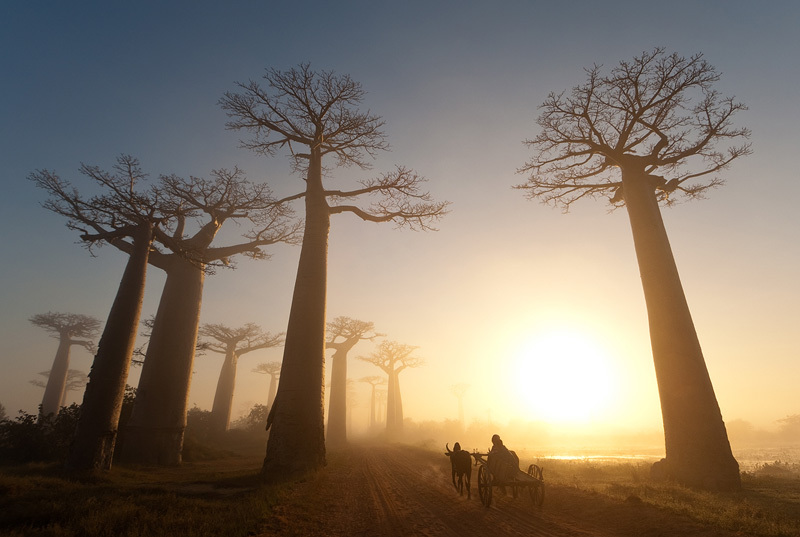 This was shot one early morning in Madagascar. The trees you see here are baobab trees, and they look like they are standing upside down - roots up. I usually try to avoid this kind of wide angle distortion, but in this case I deliberately chose to use it as it emphasizes the height of the trees. The oxcart was essential for showing the scale, so I waited until one appeared in my frame. This photograph was published as a double page spread in National Geographic magazine.